Boy or Girl? Blue or Pink? 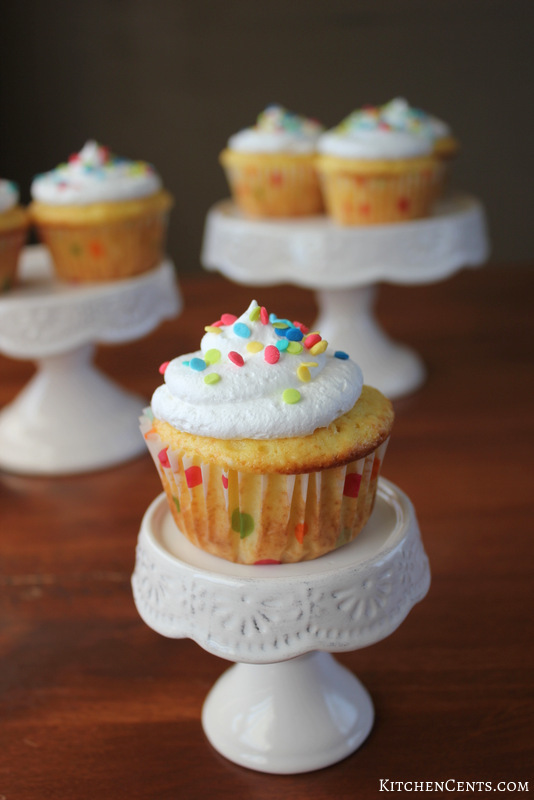 Let these fun, delicious Gender Reveal Lemon Almond Surprise Cupcakes be the tell-all at your next gender reveal party! If you follow Kitchen Cents, you have probably noticed that for the past few months posts have slowed. I have an okay reason for that. I promise! You’ve probably connected the dots with the title of this post being what it is. SURPRISE! We’re having another baby. Like many women out there, I get crazy bad morning sickness for the first few months of pregnancy. With my first, it didn’t let up until 20 weeks. Feeling nauseated and throwing up every day. Ugh! Thankfully, my last pregnancy and this one have let up around 14 or 15 weeks. 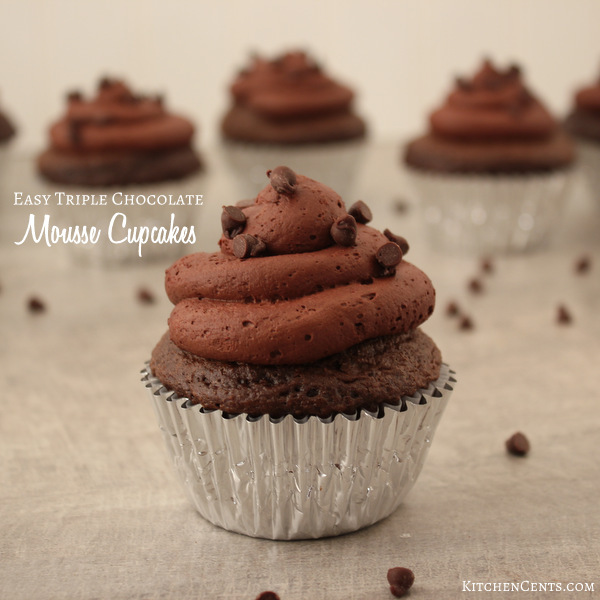 Now that I’m able to be around food and am back in the kitchen, you should start seeing more frequent delicious recipes from Kitchen Cents. We have been blessed with three amazing, beautiful, sometimes crazy little ladies. You can read a little more about them on my about page here. They are all about 2 years apart. Ryan and I had been hum hawing about having one more. Ryan, being much older than I has always said he loves our three girls and is perfectly happy having three but would never hold me back if I wanted more. I wasn’t until a week before I found out the big news that I told Ryan I wanted to have one more. Keeping our kiddos two years apart in age, we’ve always had summer babies. I figured we could start trying at the end of the summer to have a late spring or early summer baby if it were meant to be. We had our own issues with getting pregnant. We had three miscarriages before having our LouLaw. It took us almost a year of trying until we conceived BooBaw. Chuchi came much quicker and only took about 4 months which is fairly average. This baby was a welcomed surprise! When I saw those two pink lines I about fell over. How could this have happened? When am I due? When was my last period? Seriously, I couldn’t even remember. With how my body works I had no idea how far along I was… 5 weeks, 9 weeks, 11 weeks?! No clue! I immediately called my doctor to schedule an appointment. Usually, that first appointment isn’t until 10 to 12 weeks but in my case, I had no idea how far along I was. At my first appointment, the doctor did an ultrasound to see how far along I was… I was 8 weeks! That meant we would be growing our family by one this winter, before the end of the year. Just seeing that little baby on the screen made my heart flutter. It makes that little parasite growing in me feel that much more real and reminds me that there’s a wondrous thing that will come from all the sickness, sleepless nights, aches, and pains. Sometimes that’s what us mom’s need before we can feel these little ones move inside us. As an early birthday present to me we decided to find out what we were having early. Both, Ryan and I had said we would be happy with either gender but a girl would definitely be easier (we do girls, ya know?) and a boy kind of freaked us out. Haha! On the day of the ultrasound, the plan was to NOT find out what the gender was at the doctor’s office. Partly because I didn’t want to freak out and start crying in front of people if we found out it was a boy. I also wanted to give the girls a fun (tasty) visual of what we would have. Pink for a girl, blue for a boy! We invited my mom down to join us in the ultrasound where the tech would fill out our homemade card, seal it with the gender reveal inside, and give it to my mom. My mom would then open the card in secret and give us the correct cupcakes for what gender we would have. I made half the cupcakes with blue filling and the other half with pink so I could be just as surprised. <3 <3 <3 <3 We are so happy and excited! Girls RULE…, especially in our Koller home! Our ultrasound tech is fairly positive we are having another bright, beautiful little miss! No question there. Haha! 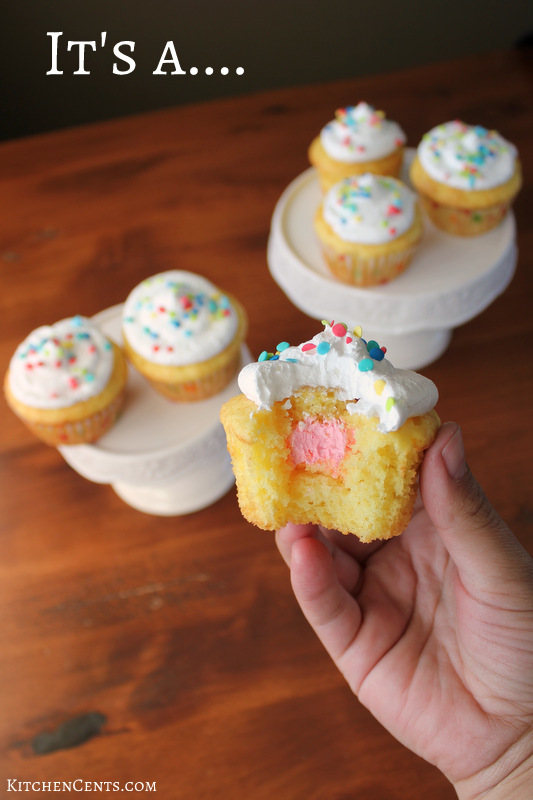 Now that you’ve read the whole story, here’s how I made these super simple gender reveal surprise cupcakes. 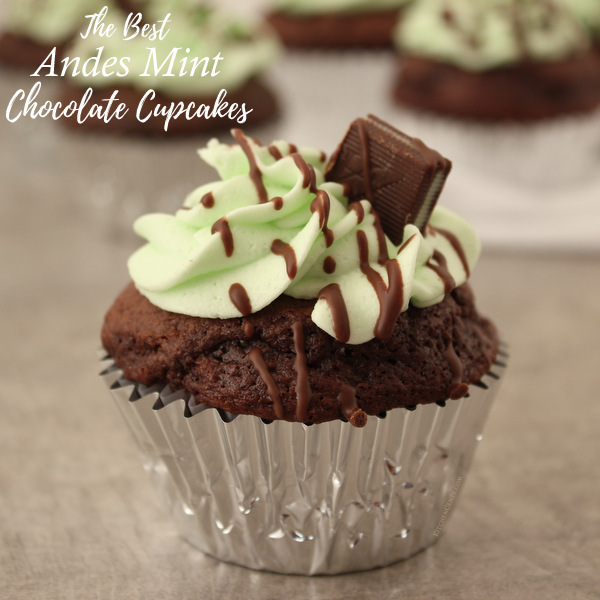 The secret is… semi-homemade! 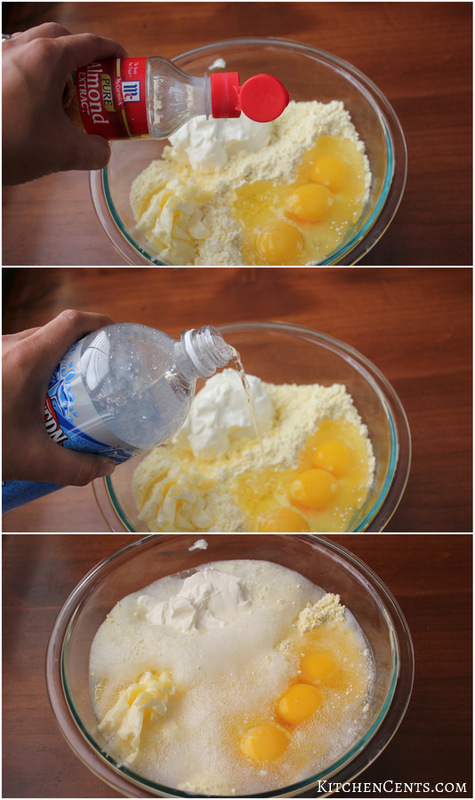 I started with a lemon cake box mix and added eggs, butter, sour cream, almond extract, and club soda. 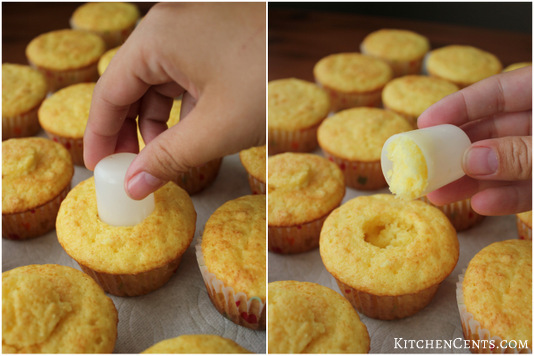 When I make cupcakes using a box cake mix I usually only get 18 to 22 cupcakes out of it because I like to fill them with a D20 scoop. I baked as directed then let them cool completely. While the cupcakes were cooling I colored half the pre-whipped vanilla icing. The other half will be kept white and used for the top of the cupcakes. I did both blue and pink for the filling because I wasn’t finding out until my husband and kids found out. 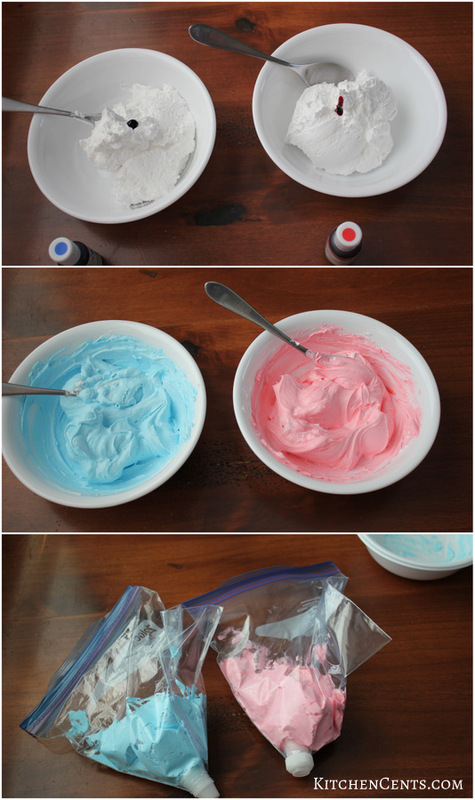 If you were to throw a party for family and friends and already knew what the gender was you could do just the one color. 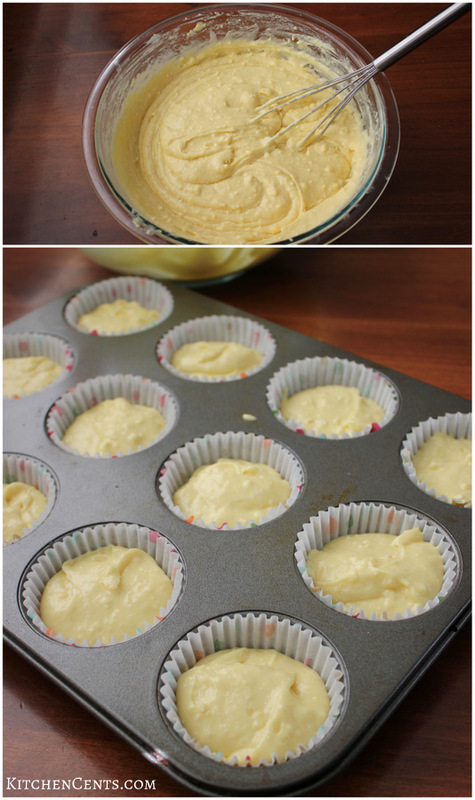 Next, I used a small scoop to remove a small circle of cake from the center. I kept the very top of each piece I removed. 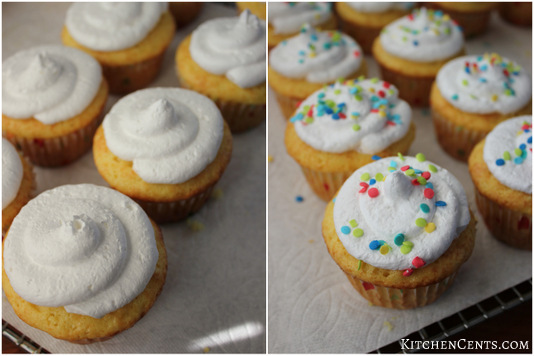 Then I piped a dollop of colored filling into each cupcake. If you are doing blue and pink, make sure to remember which is which. That would be a sad but funny mix up. Once they are all filled, I put the top back on. Next, it was time for the white icing to hide the surprise. 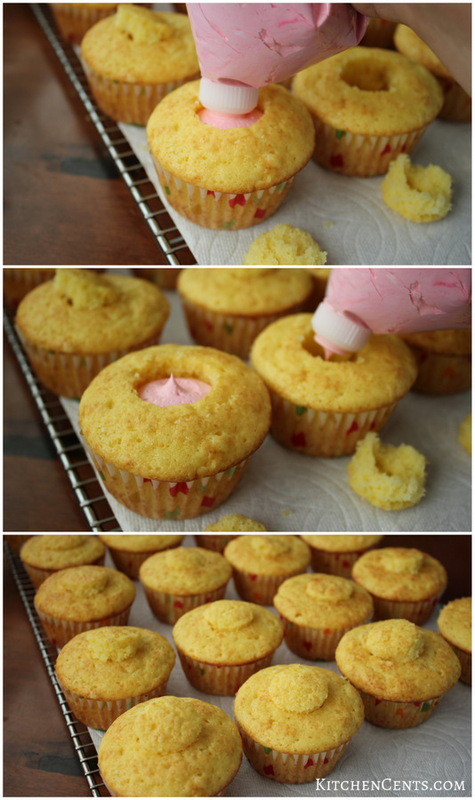 After the white icing was on I sprinkled each cupcake with multicolored sprinkles. That’s it! So cute, fun, and easy! Now for the real fun! 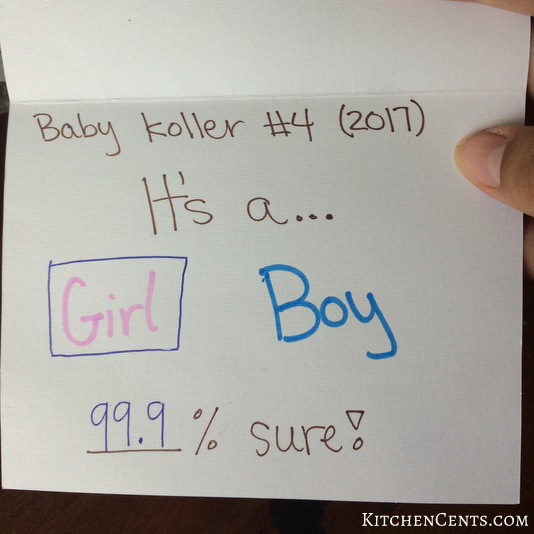 Let your friends and family find the cute gender reveal color inside. 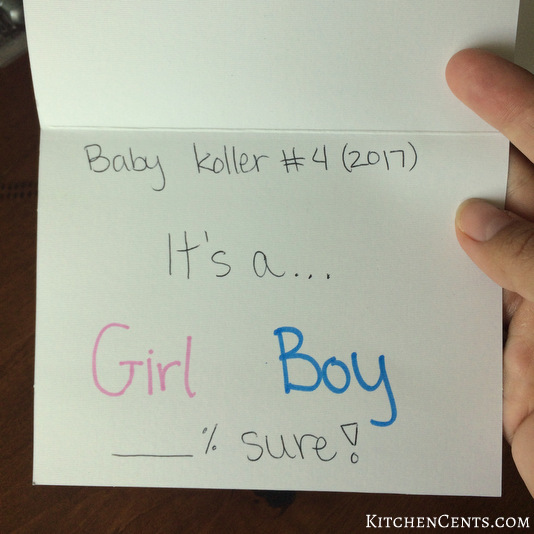 Have you thrown a gender reveal party for family and friends? I’d love to hear how you announced the big news. Drop your story in the comments! Congratulations Rachel. 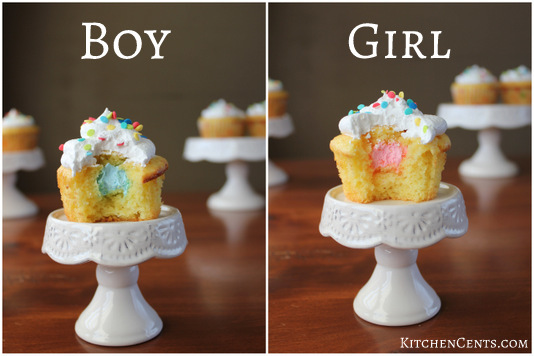 These cupcakes were a cute way to reveal the gender. I hope that you are feeling better and that things are going well. A girl – how fun!